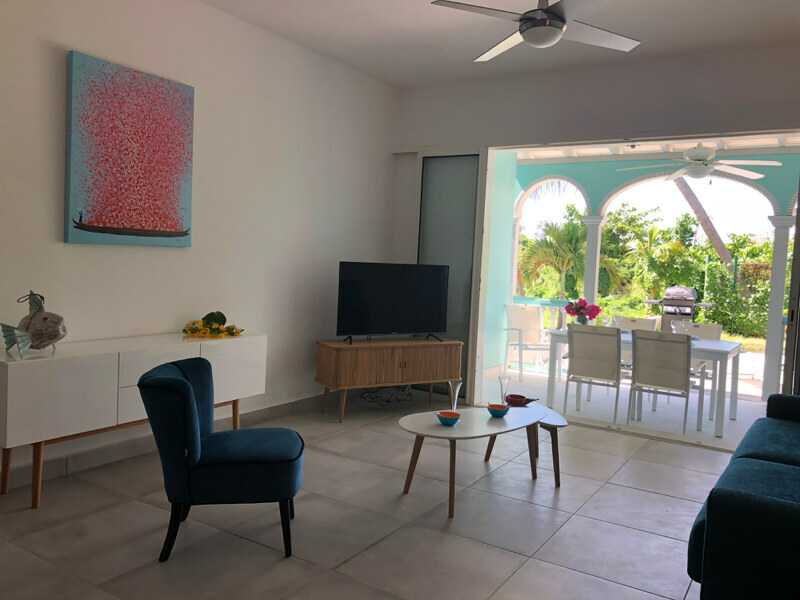 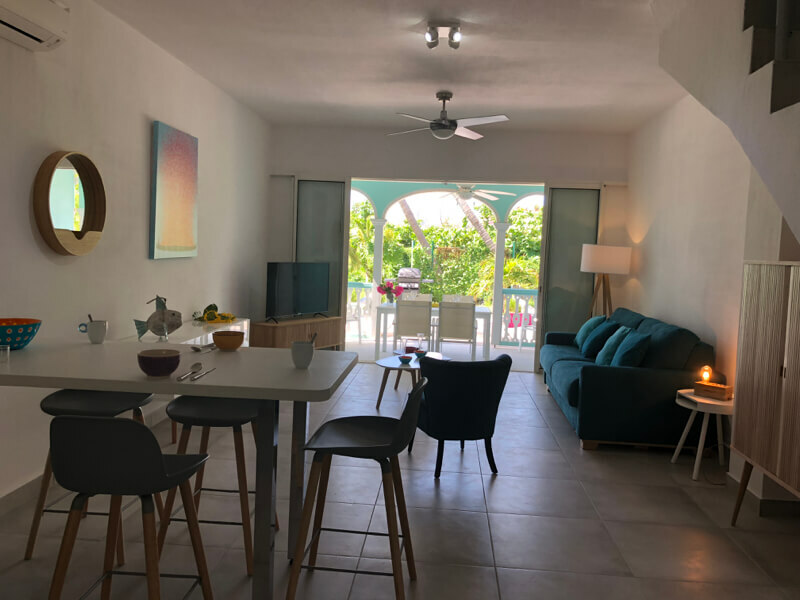 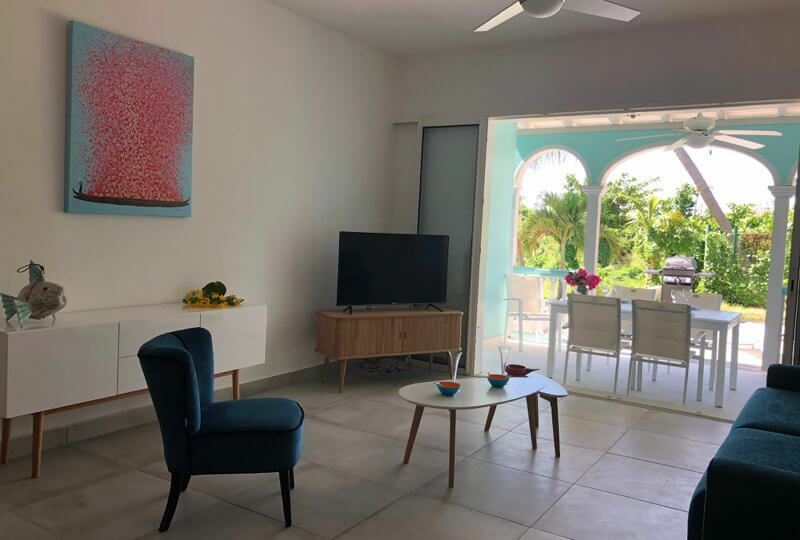 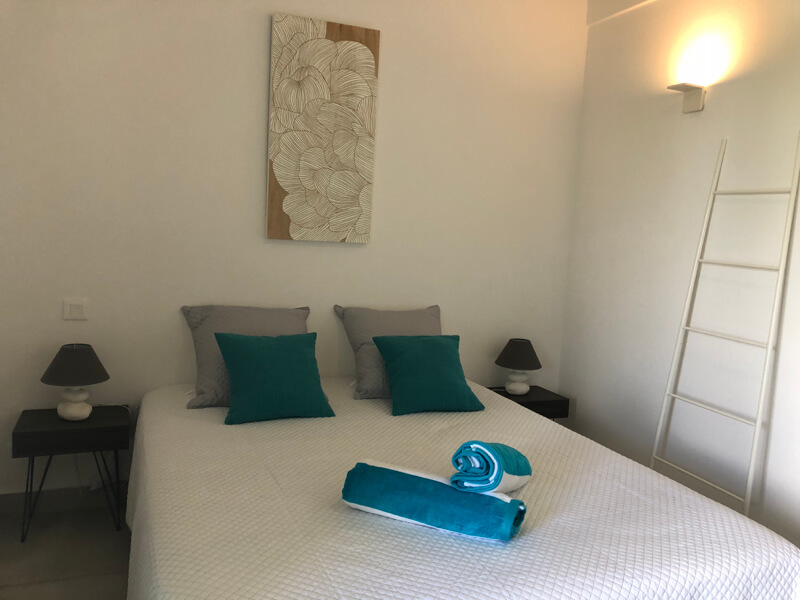 Sugar Birds is 2 bedroom/2 bathroom townhouse villa located just a few steps from the Orient Bay beach on French St Martin. 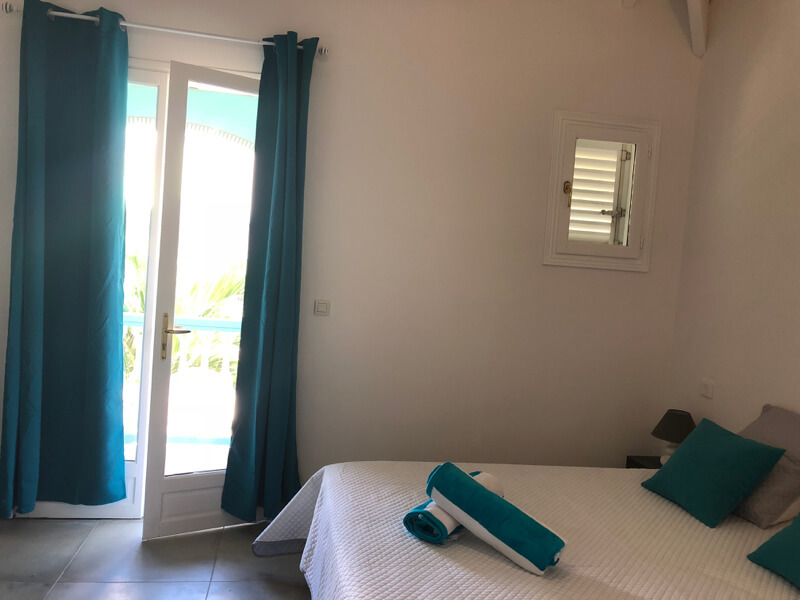 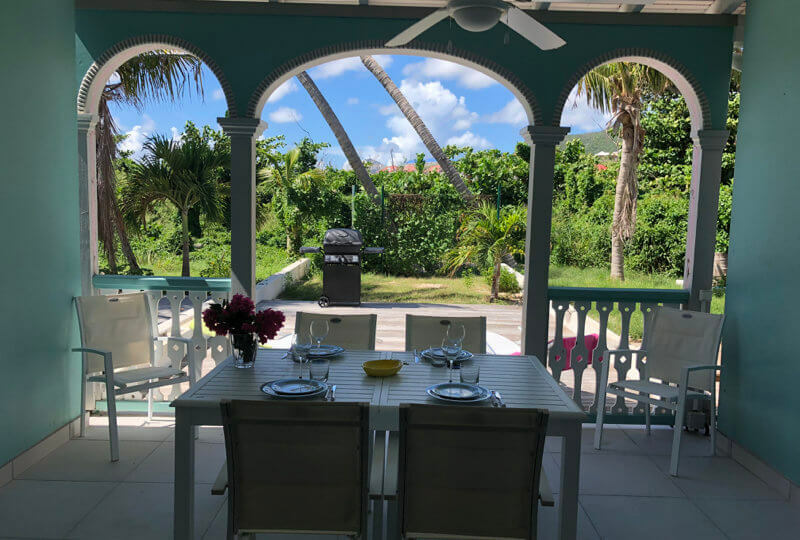 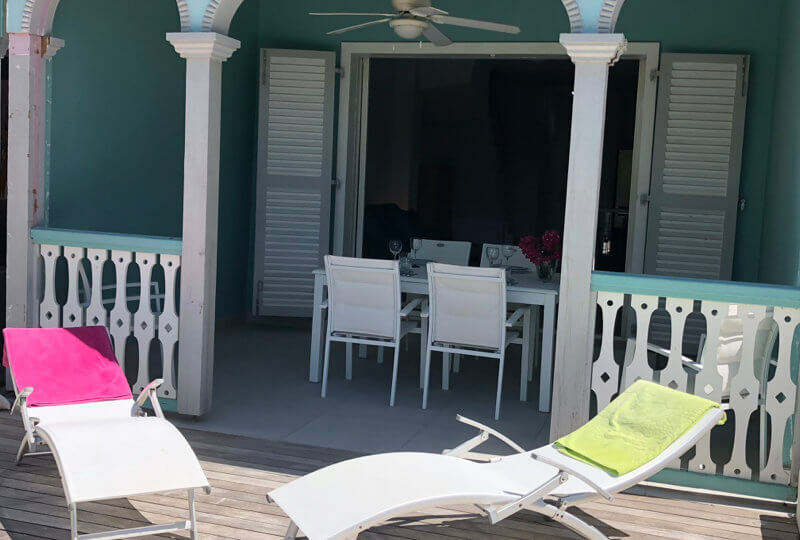 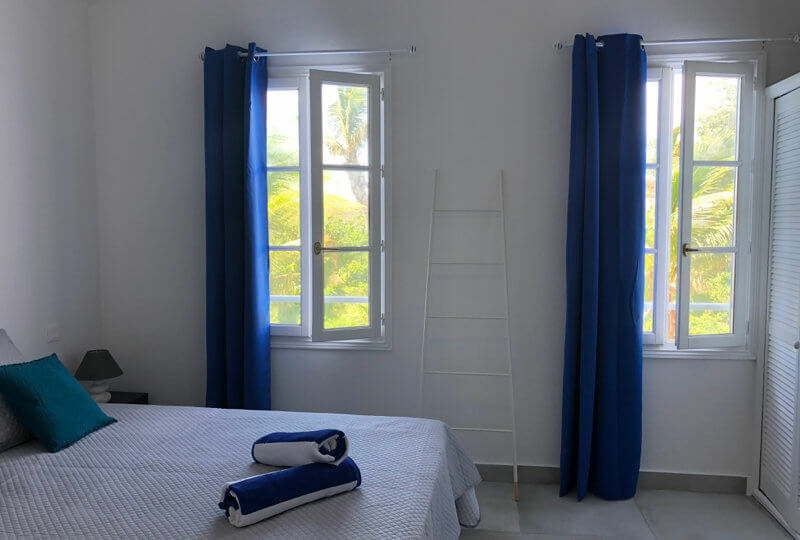 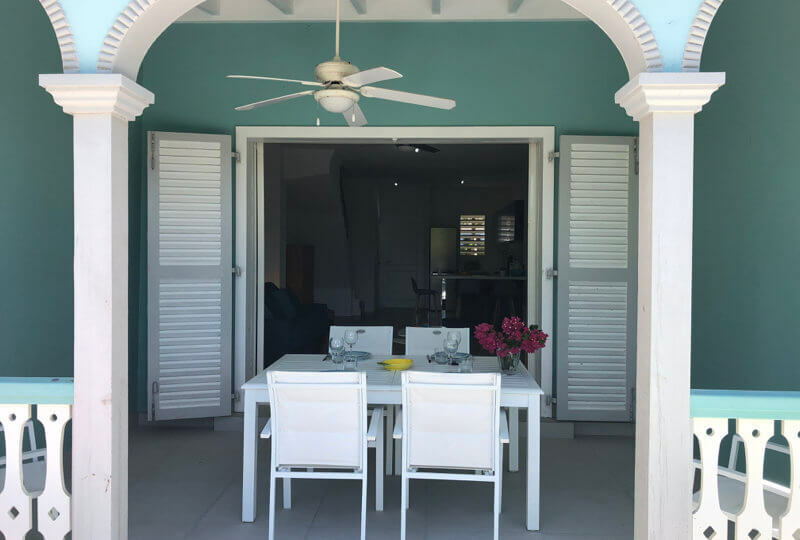 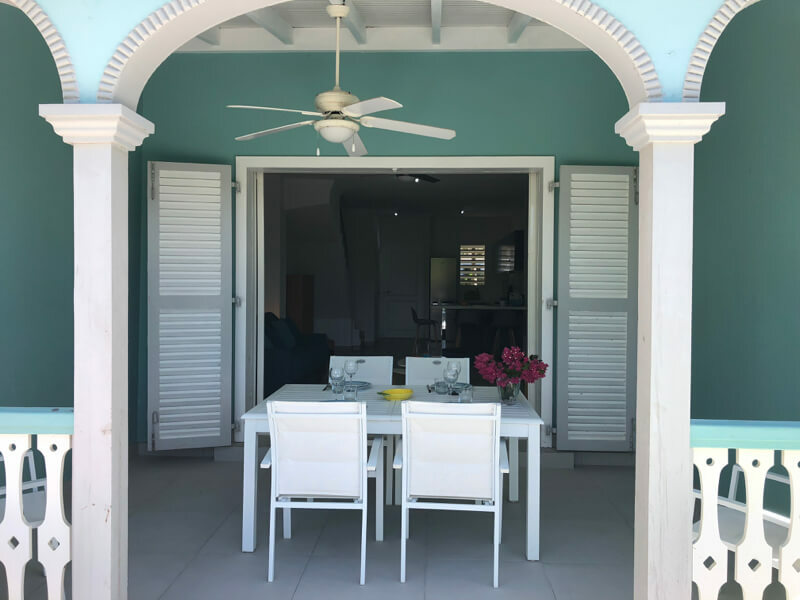 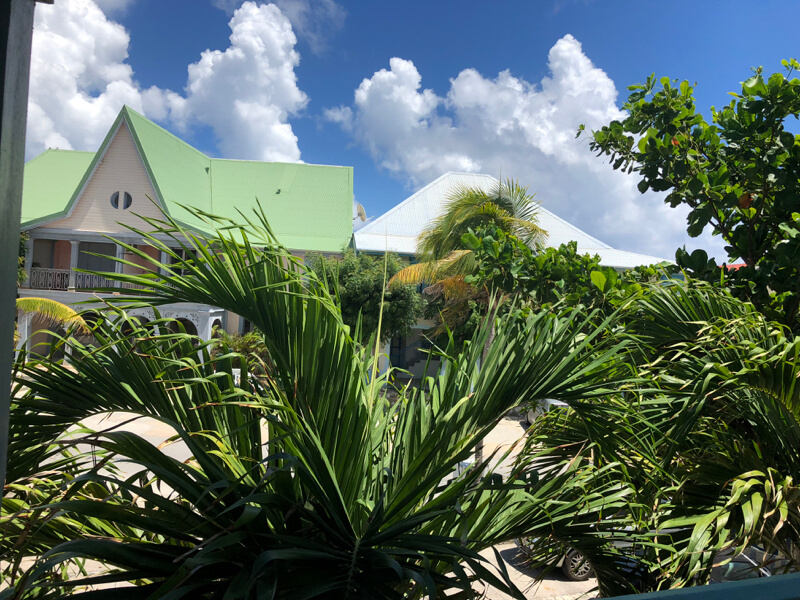 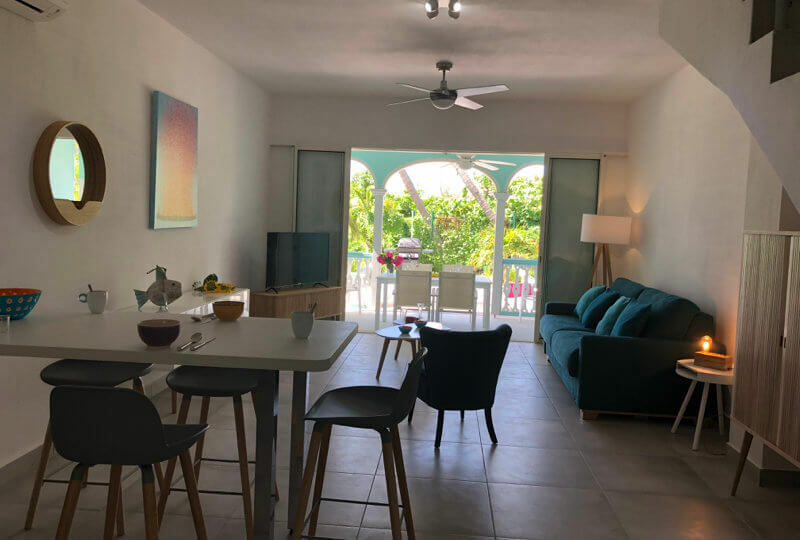 Enjoy life and come and discover the sweet Caribbean way of life staying for you next vacation in this charming townhouse located in the hearth of Orient Bay. 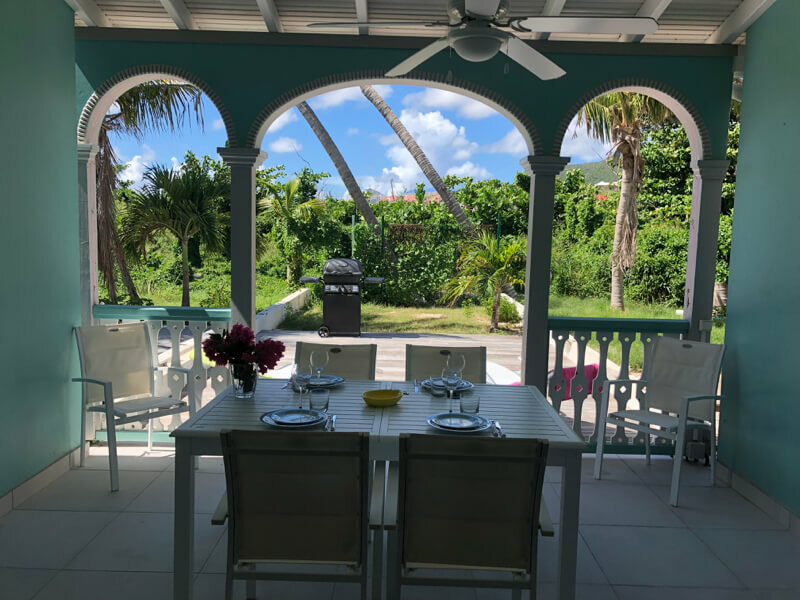 This townhouse is 2 steps from the restaurants and shops and 3 steps from the famous Orient Bay beach, but also in a really quiet spot! 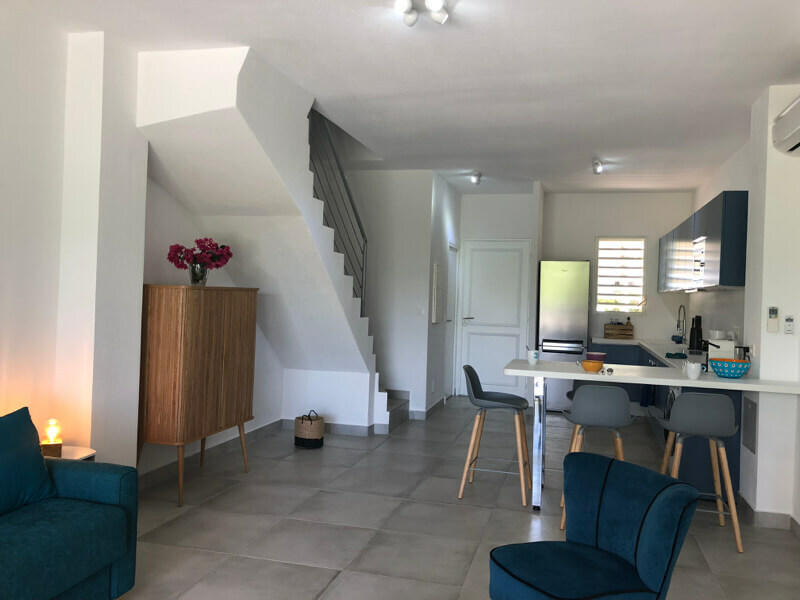 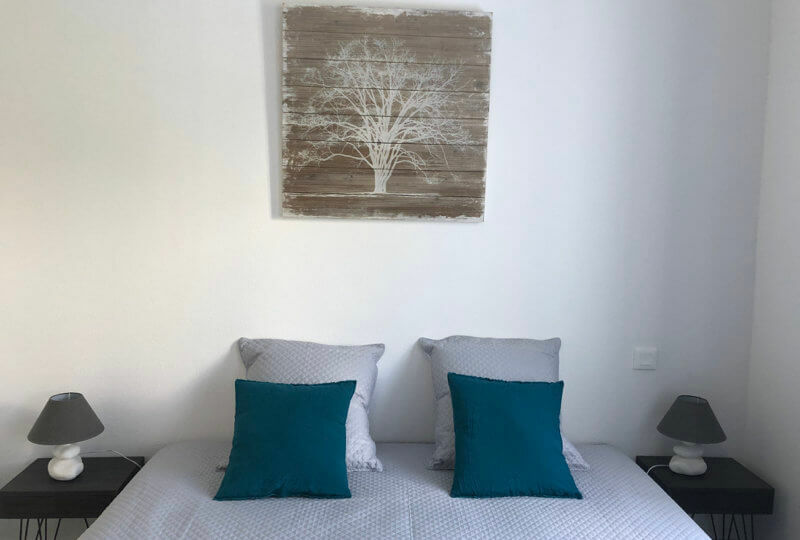 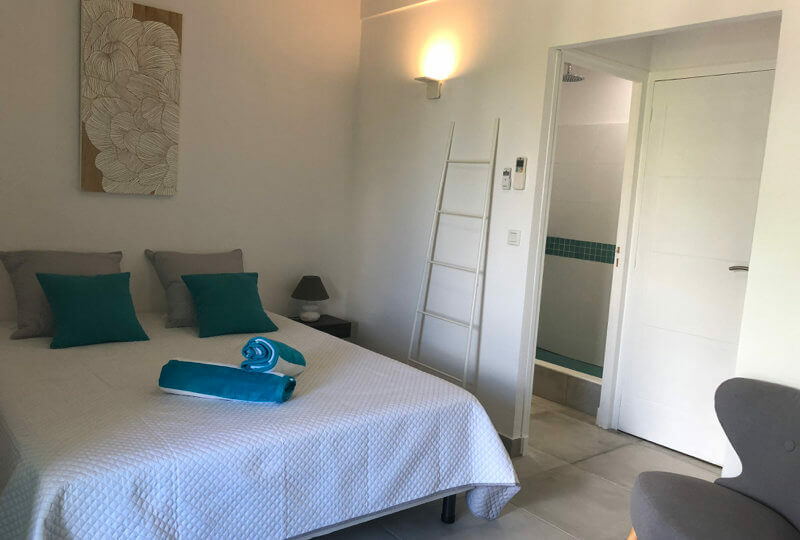 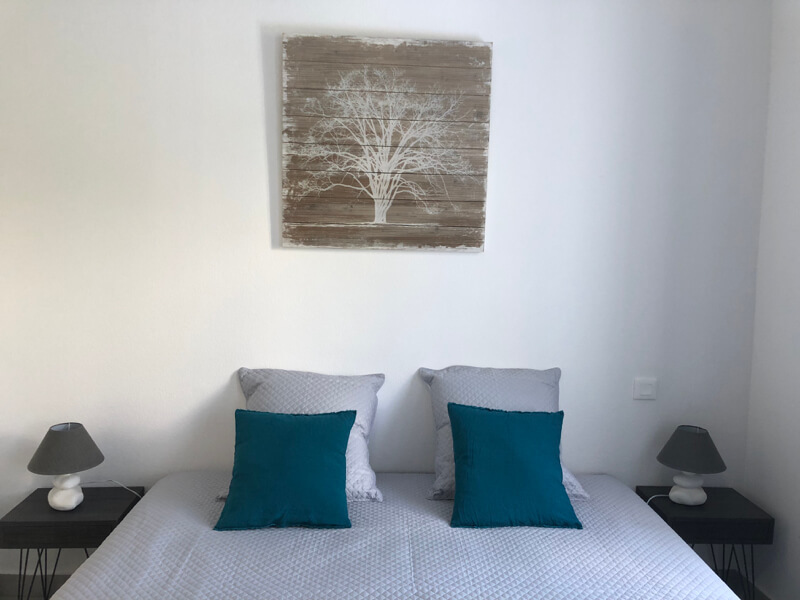 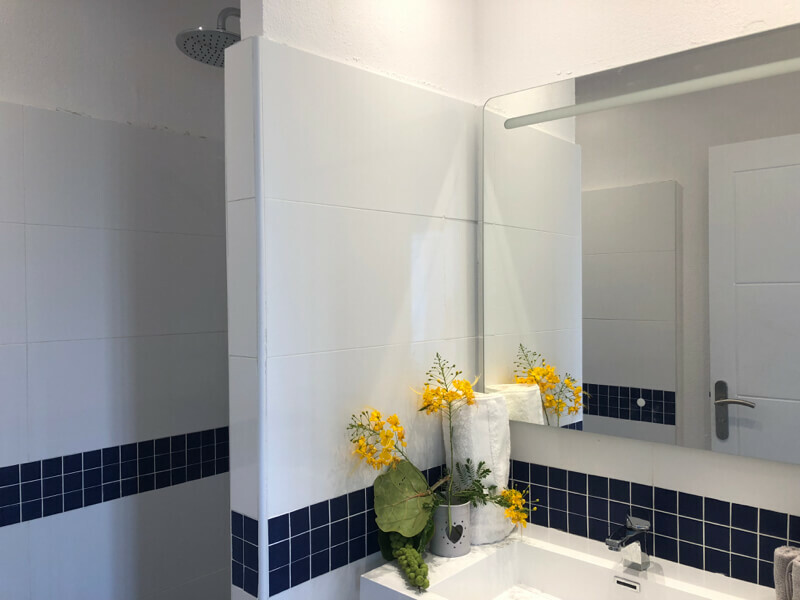 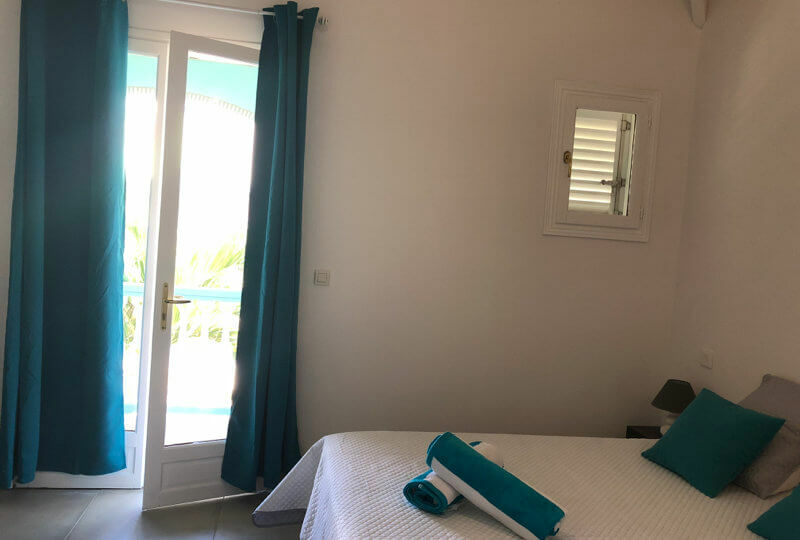 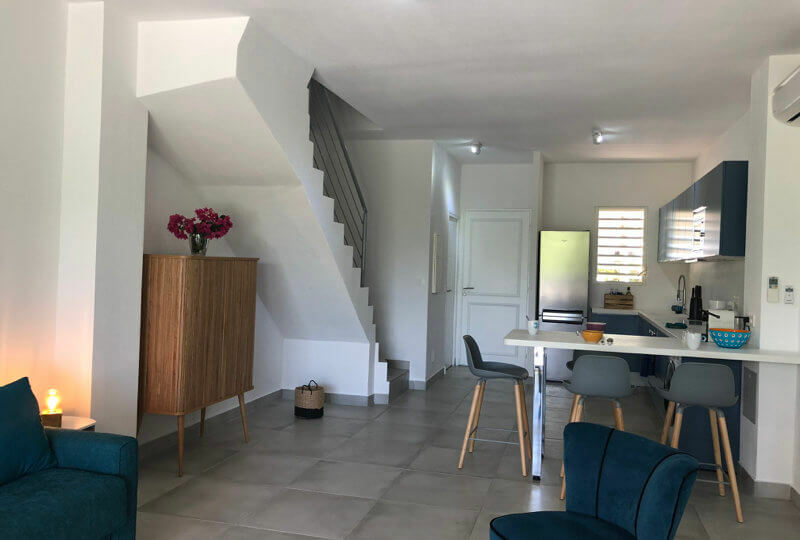 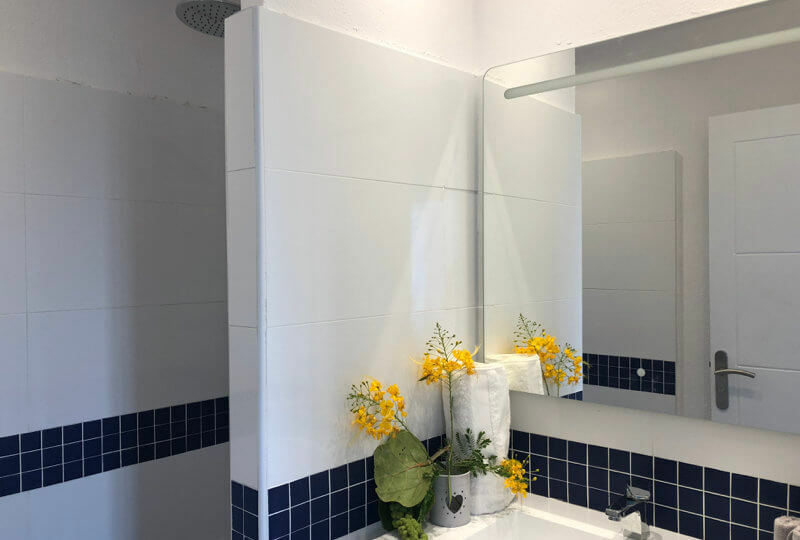 This newly renovated 2 level townhouse is offering you a beautiful living room opening onto the terrace and garden on the ground floor as well as a fully equipped kitchen and half bathroom. 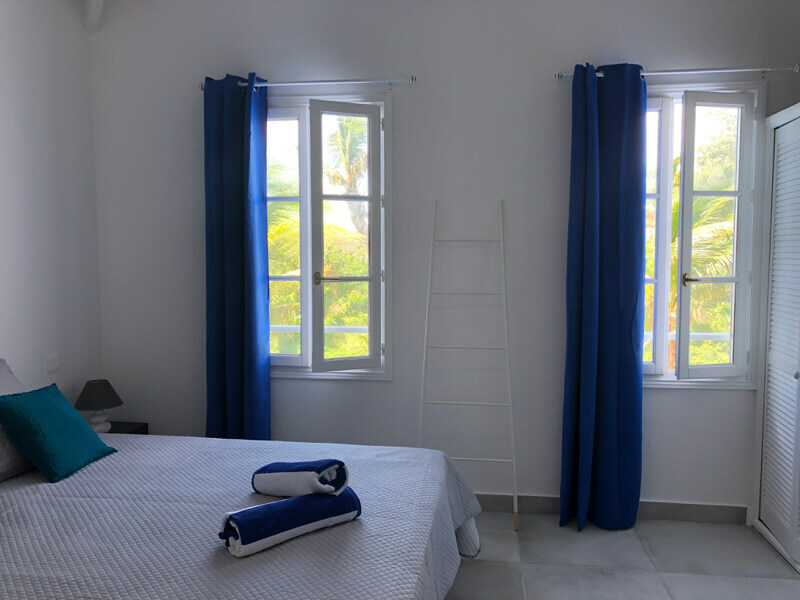 Upstairs there are 2 bedrooms each with ensuite bathroom and a private terrace. 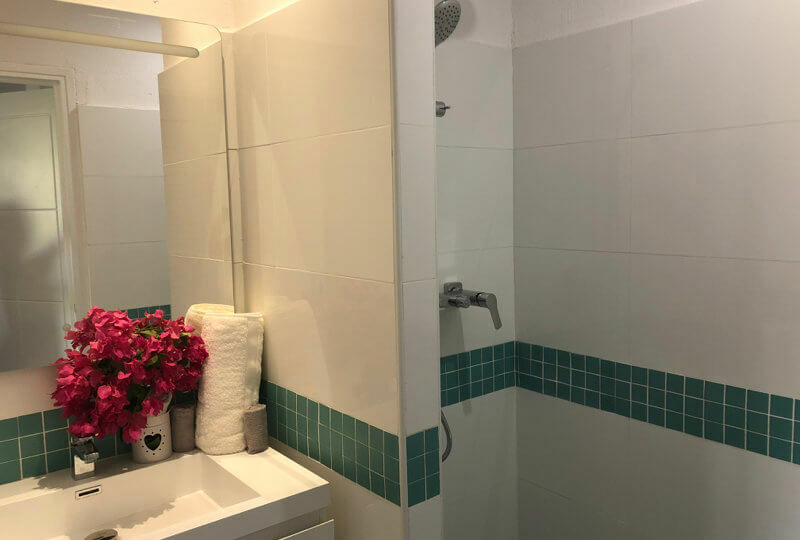 The toilet on the same floor is shared by the two bedrooms. 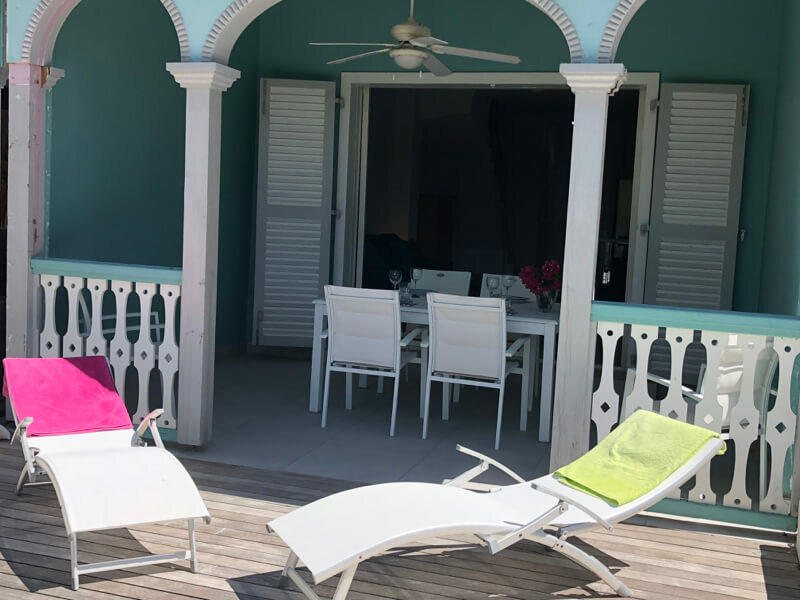 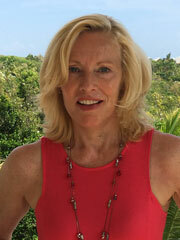 There is wireless internet, cable tv in all rooms and it fully air conditioned. 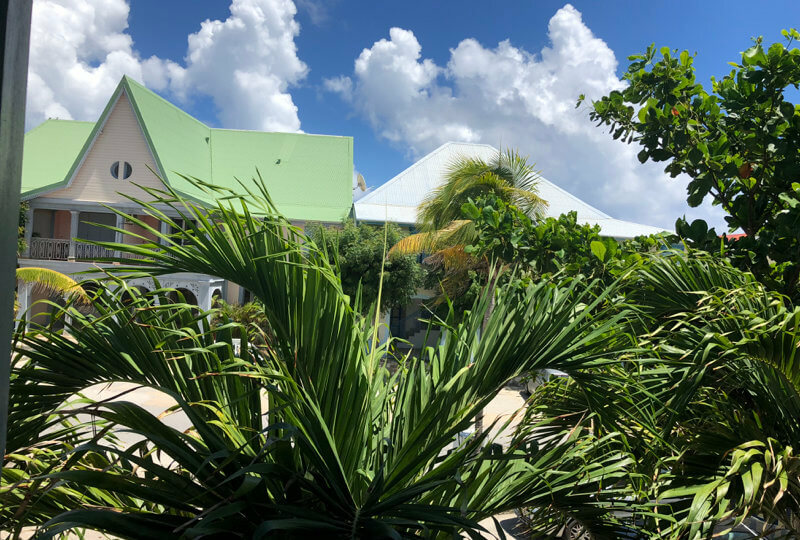 The garden will be completely closed for more tranquility and privacy , and a pool is coming soon too (high season 2019/2020). 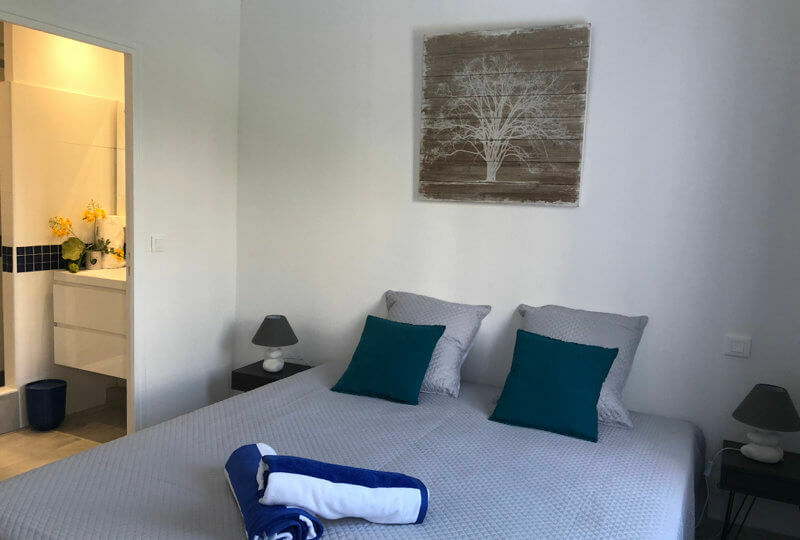 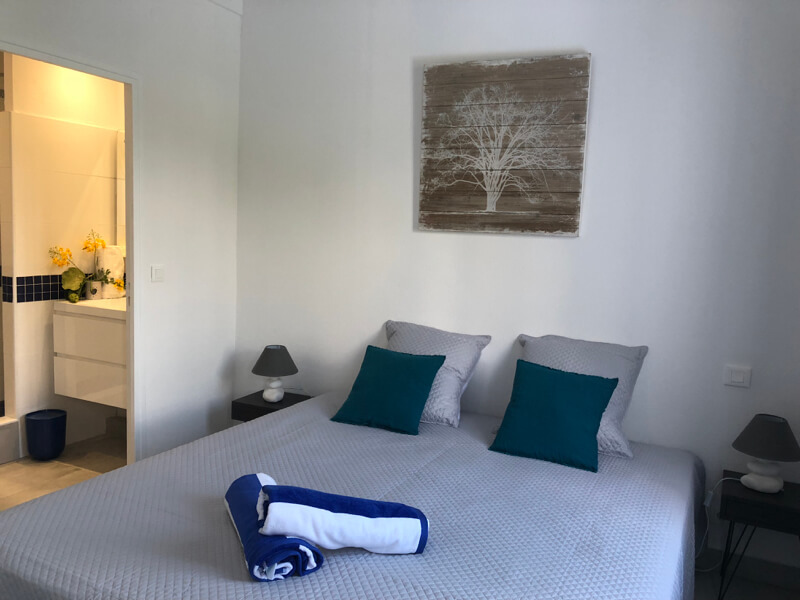 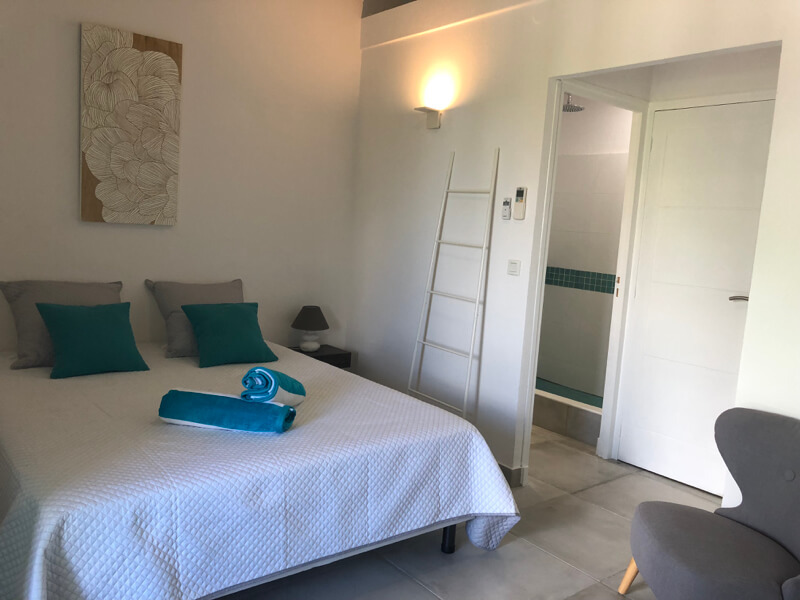 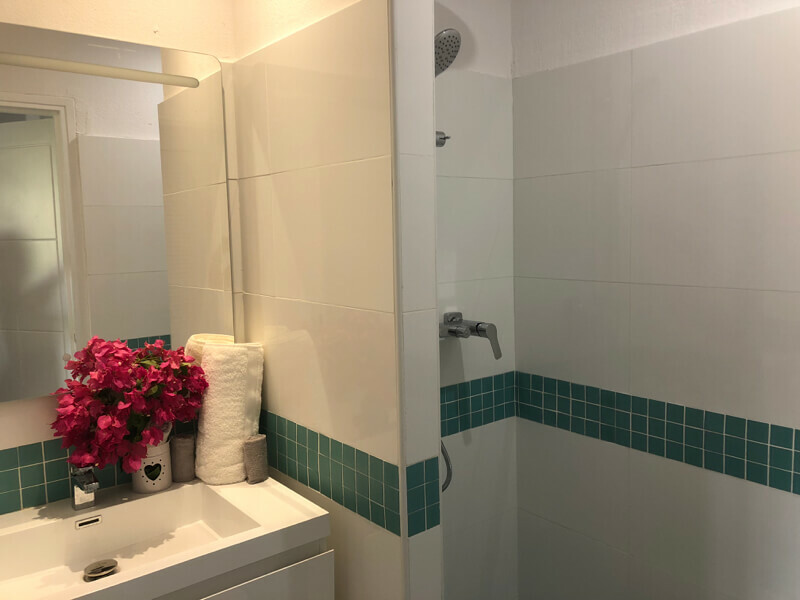 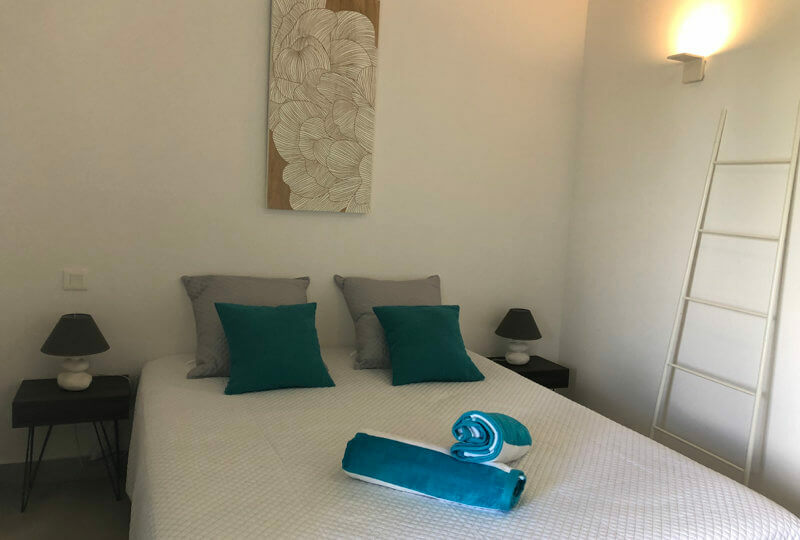 Two king size bedroom with en-suite 2 bathroom with a sink and shower.There is a separate toilet shared by both bedrooms. 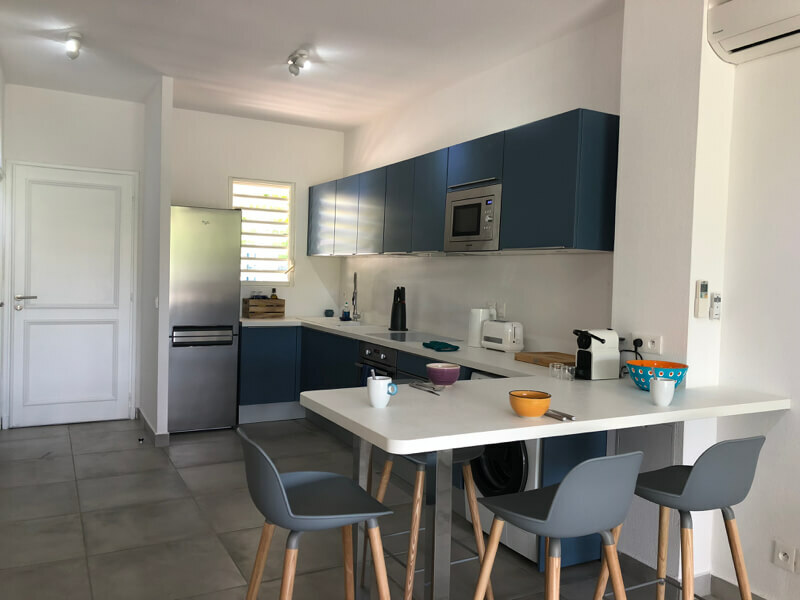 Air-conditioned fully equipped kitchen with bar area. 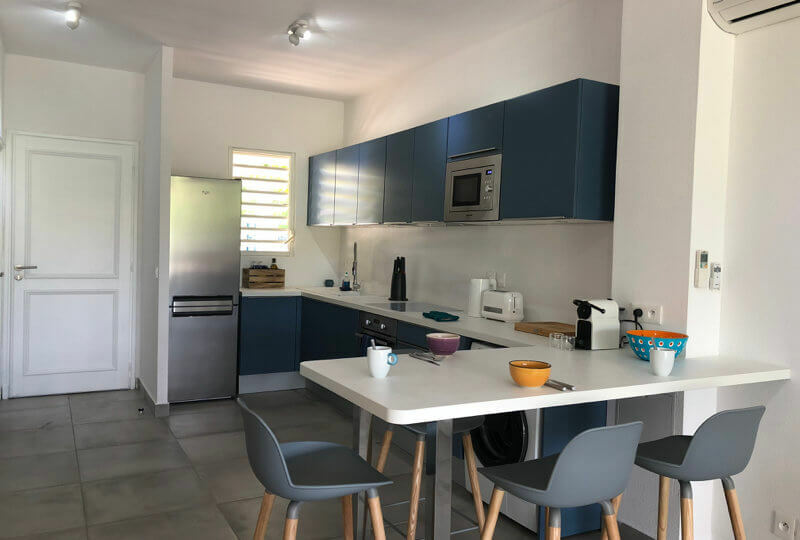 If offers for example a coffee maker, dishwasher, microwave, toaster, blender, plates, utensils, etc.